Barcelona will reportedly wear a nineties-inspired special edition Nike shirt in Saturday night's Clasico with Real Madrid. The classic design, which doesn't feature a sponsor, was worn by the likes of Rivaldo, Luis Figo, Pep Guardiola and Patrick Kluivert during the 1998-99 campaign. 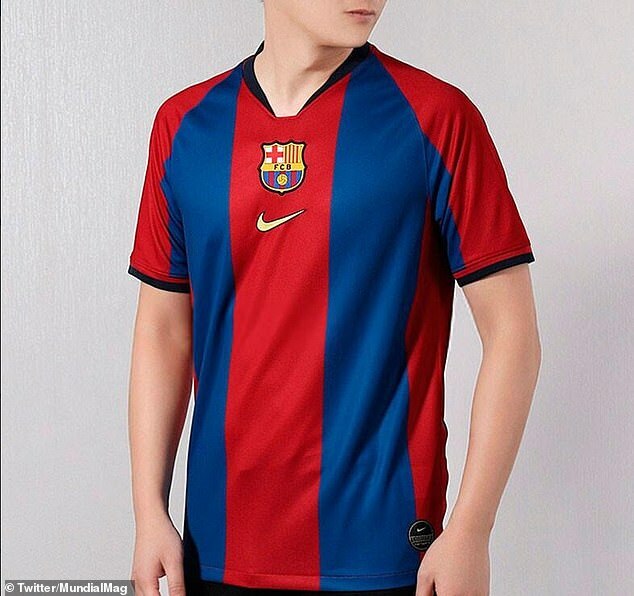 That was the first season Nike supplied kits for the Nou Camp club and they came up with a design classic based on their iconic red and blue stripes. 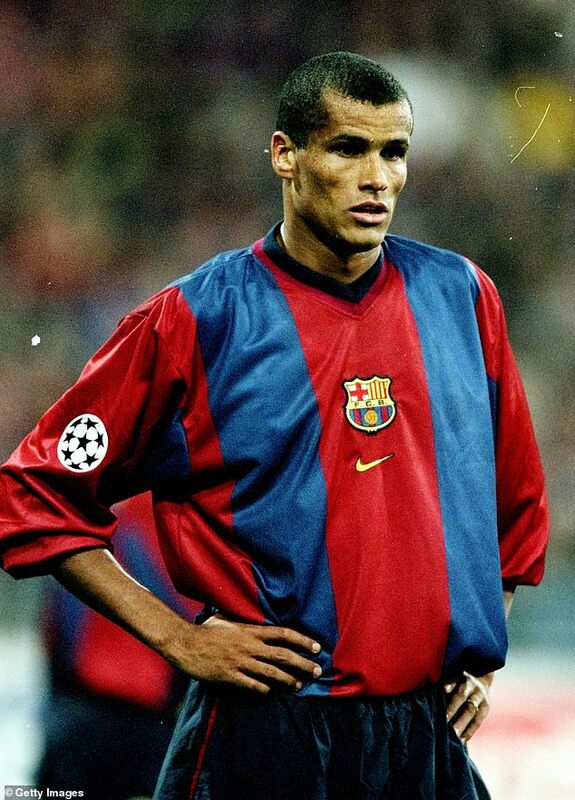 Barcelona wore the simple, sponsorless shirt during their first season with Nike in 1998-1999. The team is (back row, left to right), Sonny Anderson, Rivaldo, Giovanni, Luis Enrique, Abelardo Fernandez, Ruud Hesp; (front row, left to right), Phillip Cocu, Samuel Okunowo, Xavi, Michael Reiziger, Luis Figo.